Despite the metals market crisis British mining company Mineco Group continues the investments and development of existing and new lead zinc mines in South East Europe countries, Serbia and Bosnia. A historical drop in prices of colored metals in the leading world exchange of metals in London last year caused for a large number of companies in the mining sector to face the reduction of planned investment and laying off workers. Insufficient demand and poorly adjusted supply of metals in the world markets caused a drop of profitability in production with piling up of losses and according to the forecast of experts this negative trend will continue at least until the end of the first half of the year and probably during the entire year. 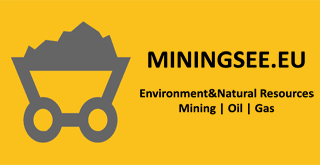 Despite the global tendencies Mineco Group which is operating in four continents and represents one of the biggest investors in Serbia in the area of mining, plans to continue with the investments this year and to employ new workers. British company Mineco Ltd member of Mineco Group which is managing together with partners the mines of lead and zinc Veliki Majdan near Ljubovija and Rudnik near Gornji Milanovac, while they are also preparing to open the mine of lead and zinc Bosil-Metal near Bosilegrad, is planning to have additional investments in 2016 and provide jobs for 800 workers already employed in their mines in Serbia as well as create a certain number of new jobs. This year we will prepare around 1.5 million dollars for technological solutions and exploration work in order to capacitate the mine of lead and zinc near Bosilegrad if everything goes according to plan. We plan as a group to invest more in the exploration of new locations and equipment renewal in our operational mines Veliki Majdan and Rudnik, at least a similar amount as last year. New investments mean an expansion of operation so we are going to expand the number of employees. In the current situation of course our short term priority is to keep the existing jobs” said Bojan Popović director of Mineco Ltd. Even though operation in 2015 endured a heavy pressure due to unfavorable circumstances in the metal market, this company’s plans for the next year were not reduced considering that a safe market for lead and zinc ore concentrate has been provided thanks to a wide network of Mineco partners, which cover Europe, Asia, Africa and North America. Apart from that according to Popović Mineco always reinvests the profits into the further development of its mines, which has provided for an uninterrupted operation so far. This Group has invested around 55 million dollars in the mining projects in Serbia and BIH so far.Out of its own capital and Together with partners Mineco has spent 11 million dollars for the opening of the mine Bosil-Metal since 2010, and another investment of around 12 to 15 million dollars will be necessary depending on the choice and implementation of final technological solutions. If everything goes as planned, the opening of the mine is planned for 2018. Bosil-Metal will after 40 years be the first mine with underground exploitation in Serbia which is completely finished and ready for operation. Mineco took over Veliki Majdan out of bankruptcy in 2006 and in 2009 after two and a half year work on the repair of the waste dam, pits and floatation plants, the production started and later on the mine became a ground stone of development of the area with 300 employees. After the privatization of Rudnik in 2004, they conducted extensive programs of renewal of facilities and underground infrastructure, they invested in the new floatation line, waste securing, which now has 9 dams. Since privatization , the management of the mine and floatation of Rudnik increased the salaries, range of production and number of employees to over 400, while the pits that are operating within this company are the most modern ones in Serbia. Privatization of Rudnik mine by Mineco and partners through the company Contango doo from Belgrade is according to the Agency for Privatization, one of the most successful ones. It was confirmed by the recent study of NALED and USAID which listed the privatization of Rudnik in the top five privatizations in Serbia. In order to completely overhaul a mine a lot of investment and exploration is necessary, which means a period of ten years or even more of hard work until it can make profit. “During 5 years we have done a study for Bosil-Metal which contains the basic concepts of exploitation, maintenance and construction of underground pits, technical projects for certain facilities and parts of the technology process. So far we have built several infrastructure objects and over 6500 meters of underground tunnels and facilities and in the next three years we have yet to build the entire infrastructure and hire 200 or 250 new workers so that the mine can be open in 2018. Only five years after the opening of the mine, the investment would pay off but that is if the price of metal in the world market is at a satisfactory level. In accordance with our development strategy I expect that we will invest the profits in the future too, since we have long term plans in Serbia. The mines that operate in the framework of Mineco Group record a stabile or growing rate of processed ore with a a growing number of employees and all debts paid both to the state and the workers. Also the company is operating in accordance with the principles of socially responsible operation, so the significant amounts go to the community as assistance. Besides the mine in Serbia, Mineco and partners manage the lead and zinc mine Gross doo near Srebrenica in the Republic Srpska, and it plans to open the cerussite mine Geomet doo near Olovo in Bosnia and Herzegovina this year while conducting explorations of the lead and zinc deposits near Foča in BIH.